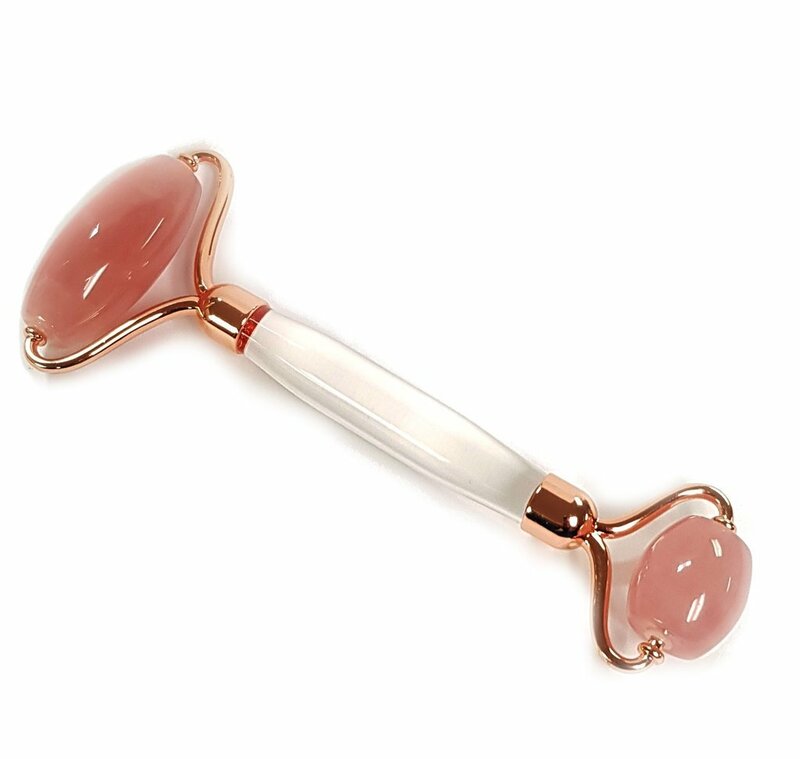 Regular massaging with this roller will help to promote collagen production, drain lymphatic fluid of unwanted toxins, reduce puffiness, sooth sinuses, increase blood circulation, contour the face and help smooth fine lines and wrinkles. Made from natural rose quartz crystal stone. Directions: Use it alone or over serums, masks and creams to increase product absorption. Can be refrigerated, but is cool without.